7-8 - Red Ball - 36' Court - 10a.m. 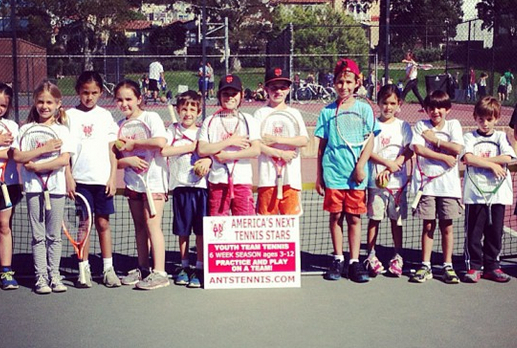 - 11 a.m.
9-12 - Orange Ball - 60' Court - 11 a.m. - 12 p.m.
Our ANTS Summer Camp is a great opportunity for children to progress their tennis abilities and have fun while doing it! We focus on developing the individual skills of each child, but do so in a team setting which allows for them to improve and progress together as a group. Tennis is naturally an individual sport, but we make sure to keep individual development parallel to team development and spirit. We will focus on the agility, balance, and coordination of the all-around athlete, as well as tennis specific footwork, strokes, strategy and tactics of the tennis player. ANTS makes sure that kids learn both in a practice environment and play environment. 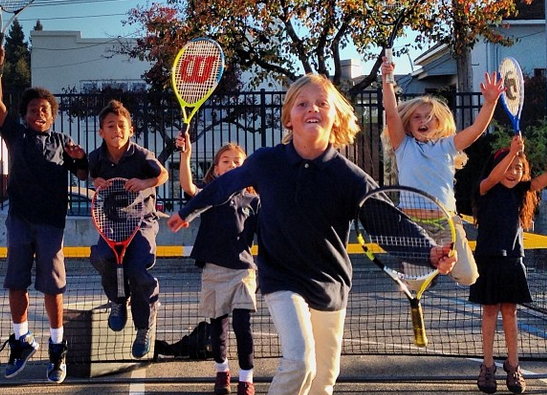 We foster a fun and healthy environment that ensures solid fundamentals are learned. Our goal is to have the children as engaged as much as possible. This is what makes us different. We incite a supportive and healthy dose of live-ball play in every session. Children will learn all they need to know to be able to practice and play. We are able to have a Practice And Play approach because we ensure children are always playing with the appropriate age-specific equipment. Our equipment enables them rather than disables them as does playing with too big of a racquet or on too big of a court. Click here to see a video that explains more. We never stop learning and we never stop having fun! Camps are bunched into 6, 1 hour session blocks. You will have the freedom to select which 6 dates you would like your child to attend the 1 hour camp, giving you freedom and flexibility. During registration you can select exactly the 6 dates you want to attend. **If you are interested in having your child join the camp for more than 6 dates (sessions), simply register twice and select 6 more sessions! Feel free to contact us with any questions using the form on the right side of the page. 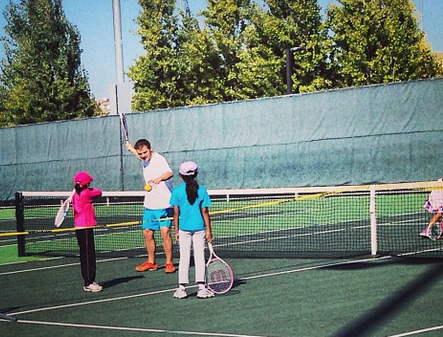 Sarah Kim is a Bay Area ANTS and PTR certified tennis coach. 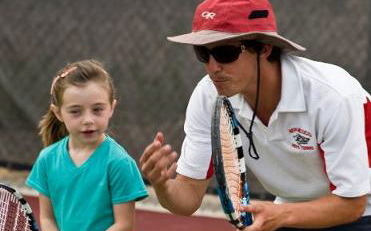 She is passionate about tennis and is experienced coaching all ages and skill levels. Sarah played collegiate tennis with La Salle University, was the assistant tennis professional at Blue Ridge Country Club, and coached with Arthur Ashe Youth Tennis and Education in Philadelphia, PA. She is ANTS Trained and looks forward to working with your child! Registration Now Open. Limited Spots! * Age-specific racquets are required in ANTS. They not only allow for more fun but also provide a much better learning experience. If you need an age-specific racquet, you can opt "yes" to buy one for an additional $25.00 and receive it at the first practice.